The May 2015 Sagittarius Horoscope suggests that you should focus on family duties and sensitive issues during this month. Career problems can be tackled at a later date. Planets are shifting towards Western sector of your natal chart and become stronger after 21st of the month. So you have to exercise your social communication abilities. Your determination and personal ambitions should be kept in the back ground. Career issues and job related questions will become clearer during the month for the Sagittarians. Unemployed people will be able to land new jobs in May 2015. The Sagittarius May 2015 monthly predictions foretell that your financial position will be fabulous during the month. Earnings are achieved with the help of your friends and social contacts. You will have the support of your spouse in the growth of your financial goals. Get free monthly forecasts for June 2015. 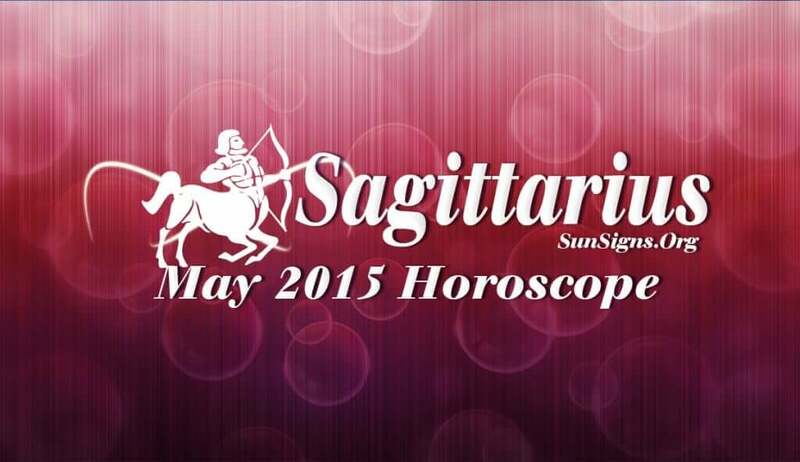 The Sagittarius monthly horoscope for May 2015 forecasts that there will be tremors in your love and family life. Marriages may break up. Singles may tie the knot. Existing love affairs may become turbulent. Spiritual life will see major changes for the better. Pregnancy is better avoided. The health of the Archers will take precedence over other issues this month. Take up only essential jobs and relax as much as possible. Control your mood swings and remain positive in order to improve your health.